Well it's that time of year again, New Years is right around the corner and it's time to start celebrating Christmas!! Wait.. What's that? Well folks it seems as though I was wrong. It's Christmas in July!! It's that time of the year again when KinsIsle gives us a few days to celebrate one of the most festive holidays, Christmas! From now until July 28th, Felix Navidad is back in the Shopping District, the Commons is fully decorated and Christmas Crown Shop items are back and now on sale!! I kind of got carried away this year and treated myself to a few (many) early holiday presents. 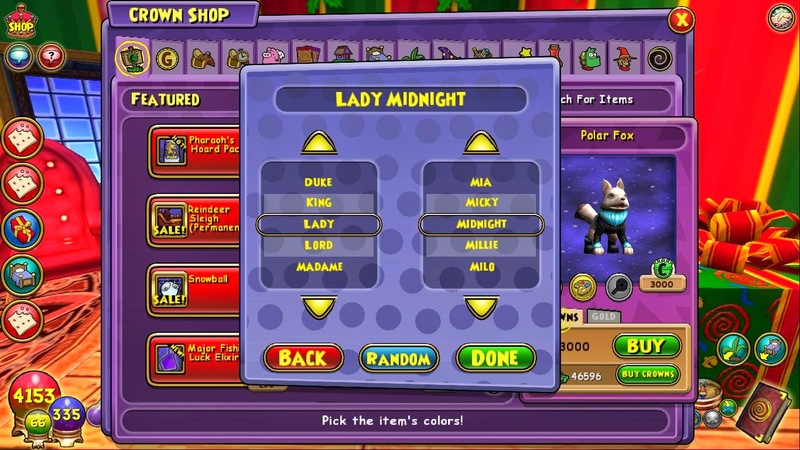 In total, I would say that consisted of 12 Yuletide Packs, along with a Polar Fox pet. Burning a hole in my crowns wallet, yes. Will these items be back within the next few months? Not until December so stock up now! I didn't really know what the Yuletide packs had inside them (it's been a while) so I just bought a lot hoping to get something good. 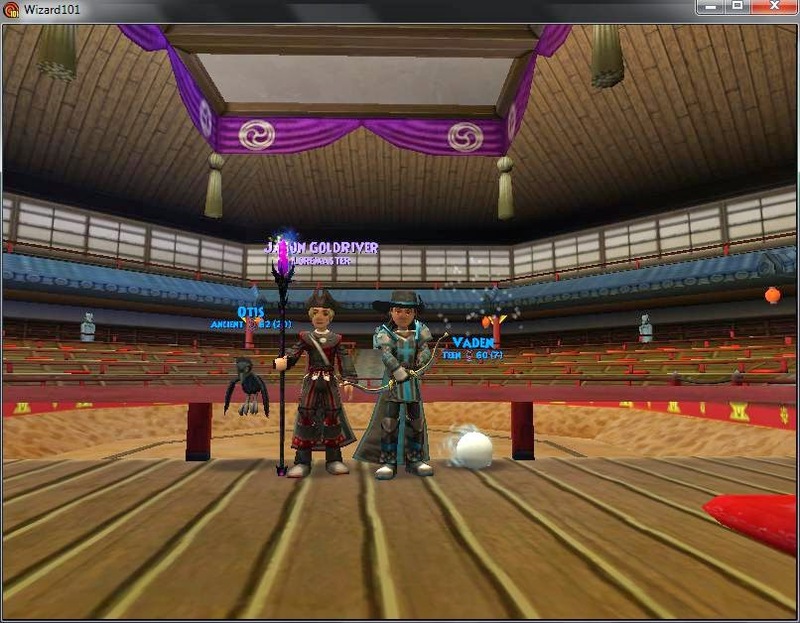 I got 5 one day and seven day cane mounts, lots and lots of housing decorations along with a few Christmas themed staffs. 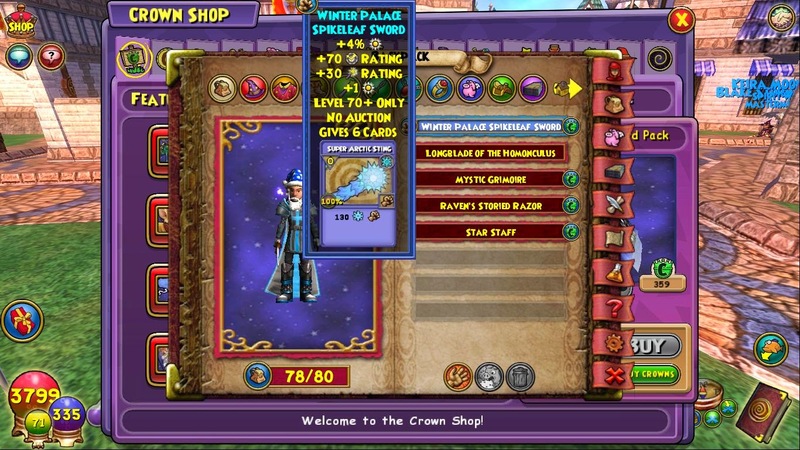 I also was lucky enough to come across not one, but two of the Winter Palace Spikeleaf Sword! Check out these amazing stats for level 70. If you would like to know more about what the Yuletide Pack gives, click here. 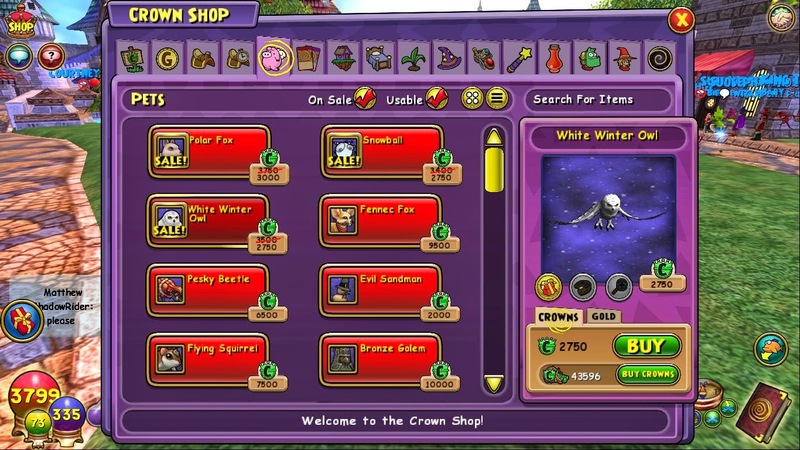 Tons of items are going for really cheap so if you have a few spare crowns, don't forget to hop on these opportunities!! 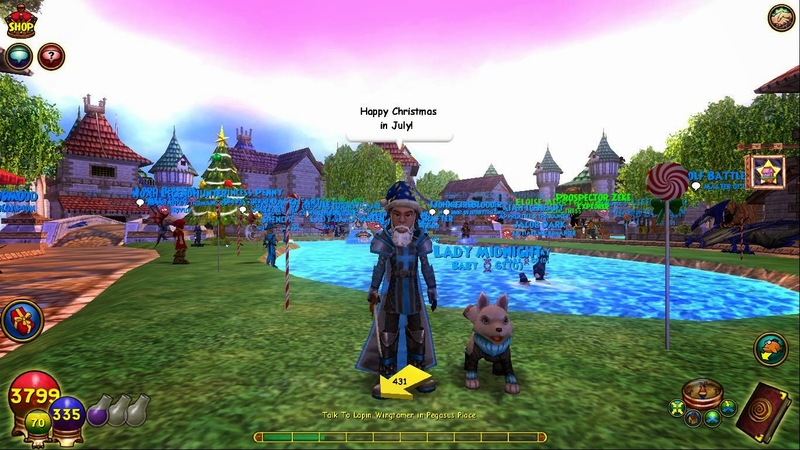 I wish you all a marry Christmas in July and don't forget to check out the official Wizard101 info for this celebration by clicking here.